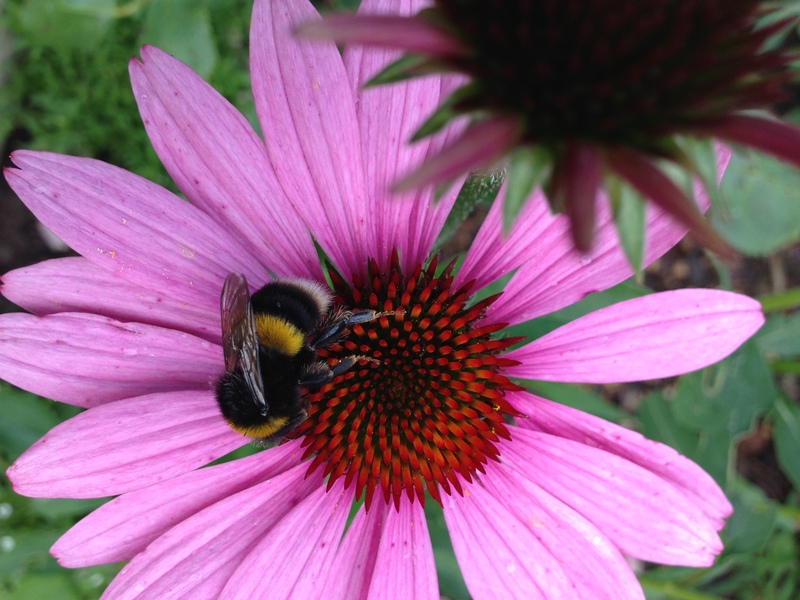 It’s lovely to see and hear so many busy bees over recent days. And different varieties too. 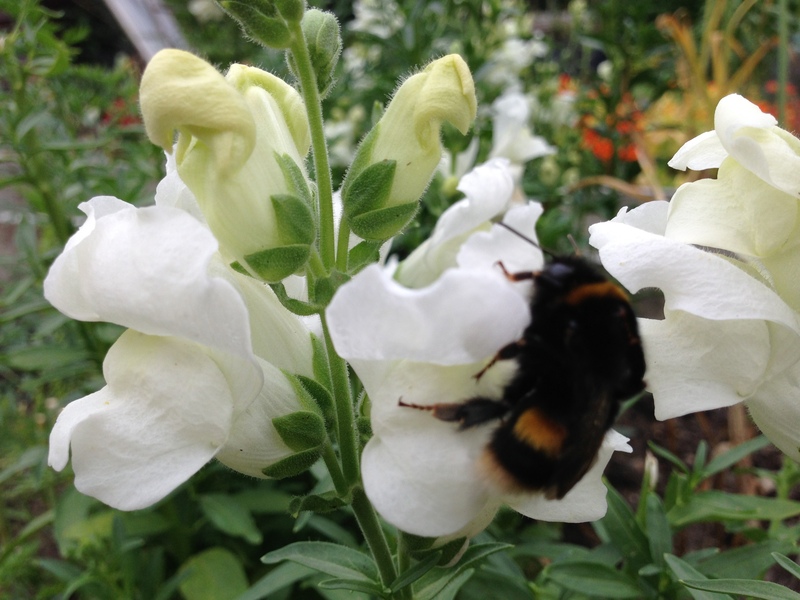 There seem to be an increasing number of big fuzzy bumble bees alongside the other smaller ones, all buzzily going about their buzziness… This one was going diligently into the heart of all the snapdragon flowers, one after the other. Very efficient. 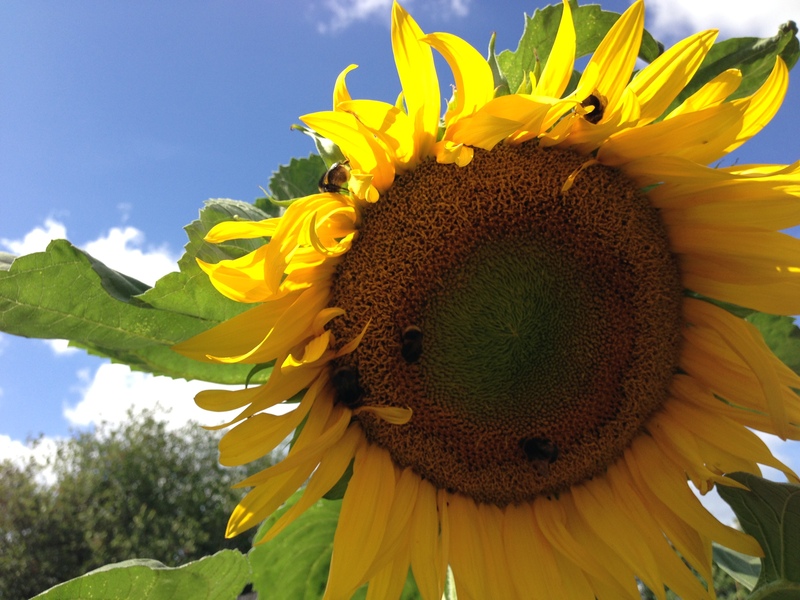 The allotment site beehive is also alive with activity. The bee lady has put a sweet little birdbath adjacent to it to make sure they have water nearby. 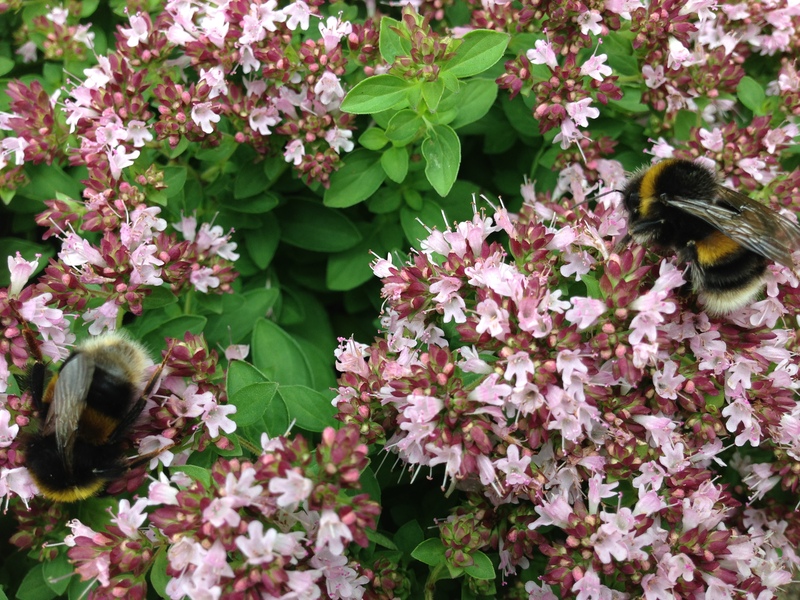 The honey bees seem particularly to like the miniature marjoram cushion, as well as the allium flowers. I counted 12 of them yesterday, on a plant the size of a dinner plate. The more I looked, the more there were! 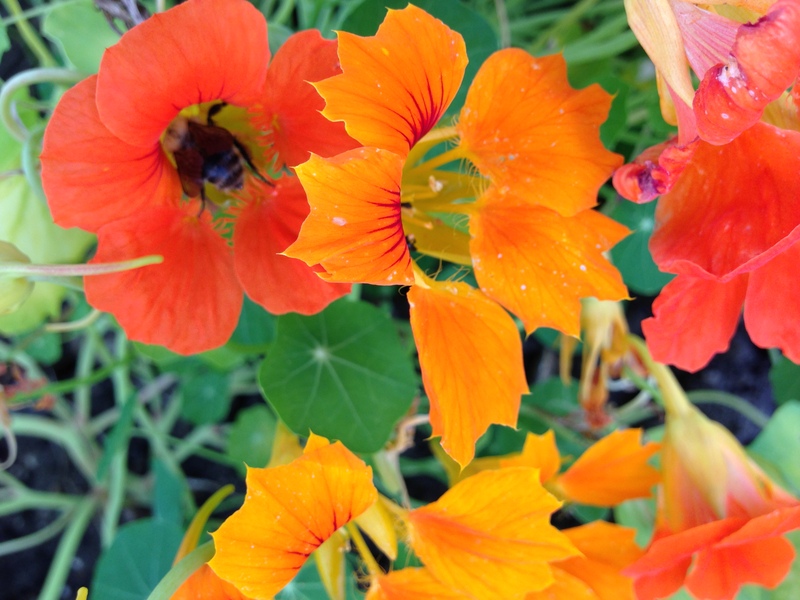 Gallery | This entry was posted in Allotment and tagged bees, bumblebees, echinachea, nasturtium, sunflower. Bookmark the permalink. And here, South of Granada, there are very few bees!Heartening news Ruth, that Farnham bees are booming! What a feast for the eyes, and the bees. Could the one we rescued be among them? I love it that bees are part of our lives and our stories. Remembering swimming among too too many bees in your pool Rachel, and the tender saving of our lone bee at The Pit, and its savouring of the apple blossom nectar, Ashen… they are part of the fabric of life.